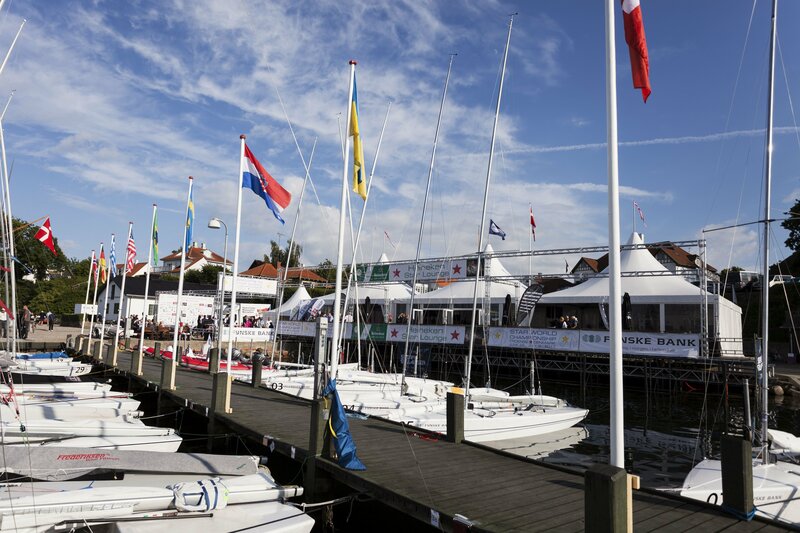 Yesterday the opening ceremony of the Star World Championship 2017 was launched in the harbor of Troense, a suburb of Svendborg at the beautiful Svendborg Sound. The opening speech was performed by the President of “The International Star Class Yacht Association", Lars Grael, from Brazil. In his speech, Lars referred to his former seven World Champions and to more Olympic Winners amongst some of the best sailors of the World today. The Past President of the Star Class Association, Dirk Thorsen, from Germany was the next speaker. Dich referred to the Danish sailing icon, Paul Elvstrøm, who won the silver trophy in Havana in the Star Class in 1955. Before his death Paul Elvstrøm gave the trophy to the Star Class for the most perfect sailing. His daughter, Trine, handed over the trophy to the President, Lars Grael, under a huge applause. In future, the trophy will be awarded to the sailor with the best total result, means his total points without deduction of its worst race score.